St Kilda, the town where the hookers and the homeless live alongside the wealthy and the fashionable. You’d think this would be an easy date with a choice of Acland Street cake shops, Luna Park, the Vineyard and the Espy. Well those places are so 2012. 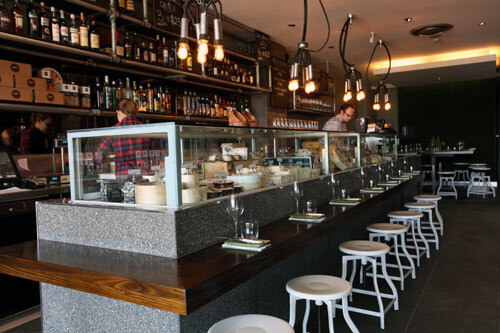 Welcome to the new St Kilda. We start the afternoon off with a late lunch or an early dinner at the newly renovated Stokehouse Cafe. It has now been reborn as a casual outdoor eatery that is so close to the beach you can almost feel the sand between your toes. The new something-for-everyone menu is a great mix of shared dishes and fan favourites Park yourself on a table in the sun and enjoy one of the best people watching spots in Melbourne. Throw in live music on Sundays and a table tennis table while the tennis is on and you’ve got yourself a relaxing little start to a date. Important to remember: Do try and get yourself an outdoor table, but fret not as inside is just as good with the new facelift. 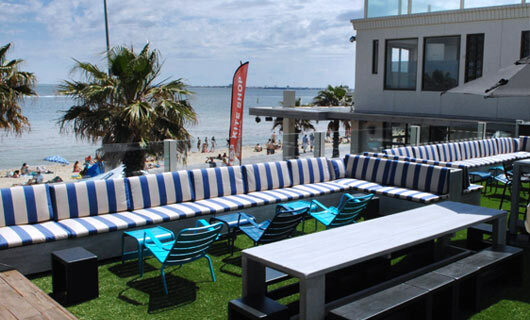 After lunch, head up the boardwalk to one of my favourite places in Melbourne, Republica. The team at Republica were busy late last year converting the old Soul Mama into the very new Captain Baxter. Lying dormant for too long, Captain Baxter has breathed new life into the tired old space. The spectacular views of St Kilda beach are the same, however everything else has changed. It’s now part beach club, part tapas bar and part cocktail lounge which are all the right ingredients for the next stop on your St Kilda date. Order yourself a tasty cocktail and take in the glorious views of the ocean. Important to remember: Don’t come in off the beach wearing your thongs on singlet as you will not be allowed into Captain Baxter’s. If you are like me, you will be feeling peckish by now. Head back up towards Acland Street, and where all the tourists turn right towards the ‘famous’ cake shops take a left towards Acland Street’s ugly older sister, Fitzroy Street. Don’t be tempted by the $2 pizza slices or a dirty souvlaki, because you’ll ruin your appetite for the next stop. With a name that says it all, Milk the Cow Licensed Fromagerie has just opened its doors. These country boys are genius, pairing cheese with wine and not worrying about anything else. Grab a spot along the bar and order one of the many cheeseboards available and match it with some delicious vino. Sometimes the simple things in life are the best, and sitting along a bar talking cheese and wine with a down-to-earth country lad who knows both is for me, the perfect end to a lovely afternoon date in St Kilda. Important to remember: For the blokes who are yet to enjoy wine, there is also beer matching available. Milk the Cow is open most nights until 1am so it’s the perfect way to end any date.